The SUVs and pickup trucks continue to outsell passenger-oriented cars in the US and the trend will continue in the future. The full-size, heavy-duty pickups are still in the focus of the truck-hungry buyers and will continue so while brands revealing new details and options of the new generation trucks. However, the electrification of the pickup trucks is increasingly becoming the focus of the truck makers and more models will continue to appear with some kind of electrified propulsion. Ford is, of course, working on the electrification of its models and we saw the results recently when the new Explorer and Lincoln Aviator appeared. We also know that the 2020 Ford F-150 Hybrid is in the works and should soon join the broad range of the powertrain options of the best-selling Ford. 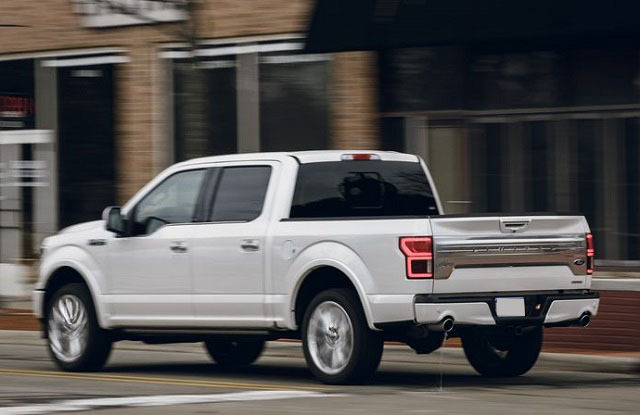 Ford also confirmed recently it is also considering the all-electric F-150 version and the model could appear closer to the middle of the next decade. Ford hasn’t said much about the 2020 Ford F-150 Hybrid and there are no many details from outer sources as well. But a recent introduction of the Explorer and Lincoln Aviator hybrid models shed some light on the direction Ford will follow. The best-selling F-150 offers a wide range of turbocharger-equipped and non-turbo engine options including also the turbocharged diesel unit. The Ford-150 Hybrid will, however, provide a new level of flexibility when arrives and improved eminency as well. Ford suggests that the new hybrid powertrain will boost the low-end torque of the truck and will also be able to take the role of the power generator on the worksite. What’s more, Ford promises better capability and efficiency with the electrified powertrain. Ford wasn’t specific however about what powertrain setup will be used and its specs. However, similar powertrains used in the redesigned Ford Explorer and Lincoln Aviator suggest that the F-150 hybrid should also use a similar system. The new Explorer Hybrid employs a 3.3-liter V-6 and it comes in the combination with the electric motor, liquid-cooled lithium-ion battery pack and the 10-speed automatic transmission is also the part of the system. The total output is 318 hp and Ford is yet to reveal battery capacity and fuel economy. The Lincoln Aviator has a similar setup. The model uses, however, a 3.0-liter twin-turbo V-6 engine mixed with the electric motor and 10-speed automatic transmission. The hybrid system is placed between the combustion engine and gearbox while the battery sits under the floor. The battery could be around 28 kWh considering the recharge time of about 3 hours with level 2 240-volt charger. The system should provide about 450 hp and torque of 600 lb-ft. 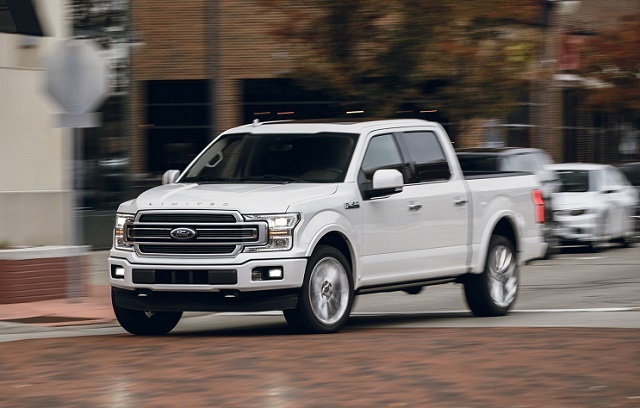 The Ford F-150 Hybrid could use any of the engines in its range including the diesel mill in the combination with the electric motor and battery. The 10-speed auto transmission will be part of the system. The hybrid system will improve the low-end torque which is important for climbing and towing and efficiency will also be better. It remains, however, to see the full potential of the system and towing and efficiency ratings when more details appear. Ford won’t change much on the exterior side of the 2020 Ford F-150 Hybrid compared to what we see on the current version refreshed for the 2018 model year. The truck will use the same military-grade, high-strength steel platform and aluminum-formed body panels. The details will make the difference on the electrified F-150. The model will stand out with the unique trim paces, grille style, badging and set of wheels. The cabin of the model will also be a familiar form. The truck will have the same interior layout as the current version and will also offer modern comfort and electronic features. The large center touchscreen and instrument cluster will provide additional details of the hybrid system. The truck will use responsive Sync 3 infotainment platform and modern crash avoidance technologies. There will also be unique material textures and options and Ford will offer high-comfort features as well. The 2020 Ford F-150 Hybrid will join the current powertrain range later in the year. Closer to the launch Ford will reveal more details about the hybridized truck and it will be interesting to see the towing and fuel economy ratings. The new hybrid version will also be among more expensive F-150s but buyers are ready to pay more for the greater capability and efficiency these days.